Help with high level user, low level defense. I have been playing for about a year but last 6 months have been difficult due to not browsing this forum ahead of time. I've essentially deleted some nodes along the way. Sitting at lvl 53 with low level. Have to use 9SEC 7day when possible to achieve high level node upgrades. I have attached screenshot of current layout. Been trying different layouts for a while with little success. I just hope someone can help me figure out the best way to move forward. I don't like this particular layout as I am vulnerable to kraken, just not sure what the best layout would be for my situation. started making changes since browsing the forums here. Got rid of the 2nd scanner for now and added a code gate. gillogly wrote: started making changes since browsing the forums here. Got rid of the 2nd scanner for now and added a code gate. Yeah. That would be good. And your base is too easy for other people as you only have 1 choke only. You should really drop a max farm and get the 1 lv scanner as a choke to the first gate! Aw man, I hate seeing farm networks like this. You've shot yourself in the foot. Your defense isn't good enough for your level to protect your resources, and if I had to guess, your programs are also inadequate. And since you don't loose experience when you delete nodes, you can't fix it. You just end up inflating your level even more. 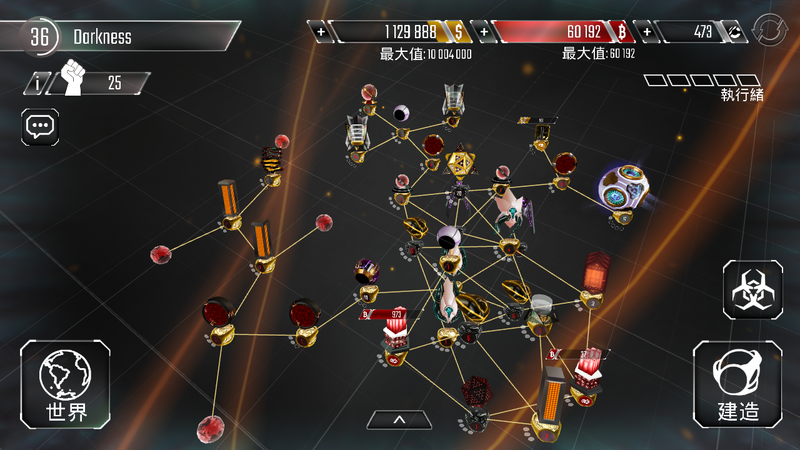 You can certainly make your network harder to defeat, but don't expect to get on the leaderboards or anything. The most glaring issue with your network (other than all those high level farms) is your defense against stealth programs. Read this guide and this guide. You basically need to "sacrifice" 2 Code Gates at the very front of your network to stop low level stealth programs from neutering the rest of your network. And since upgrading your Gates does nothing to help prevent them from being Wraithed, it's best to leave those two sacrificial Gates at level 1 so you don't inflate your level. You need two high level scanners and three or more gates at the front of your network to stop more well upgraded stealth programs, but "stealth mains" aren't as common as they used to be (too expensive and it takes too long to compile that many stealth programs for "stealth main" to be viable) so I wouldn't bother trying to stop them. Guardians are only good choke points if you leave them at level 1 AND can bring a ton of damage to bear on them. Basically, a Guardian choke that cannot break at least one moderately upgraded Protector is useless. I think your Guardians are upgraded enough that they'd be more useful by providing shields to other nodes. Now for the part you're not going to like: You should use your Farms, Mines and Core to reinforce your defenses and make it as hard as possible to reach your Databases and Mixers. In other words, do not try to protect your mines, farms, or core. And stop upgrading them. And seriously consider deleting some of them so you can build more defense nodes. Treat your core, mines and farms like high-firewall nodes to help stall attackers and supply AV pressure. Collect the resources from your farms/mines every hour to move the resources they generate to your (now more secure) Databases and Mixers. Consider creating a Maelstrom network. But be aware Maelstroms aren't particularly viable until you have Core 12, and it's hard to make a good one. There's not much advice about building them, and I've only seen a handful of actually good ones. Ask TheLurkingRage or Darkness. Or if you can find them, Invictus or Yopee. No matter what kind of network you decide to make, you should upgrade that Sentry and your Core, and if I had to guess, your programs are also underleveled.